Eating well during the holidays is a very common stumbling block. I don’t know how many times I hear comments throughout the holiday season about eating too much, needing to detox, and wondering how to beat the bloat. It doesn’t have to be this way! Let’s stop the frankenfood holidays and turn to real food recipes that are full of holiday flavors without all the junk! 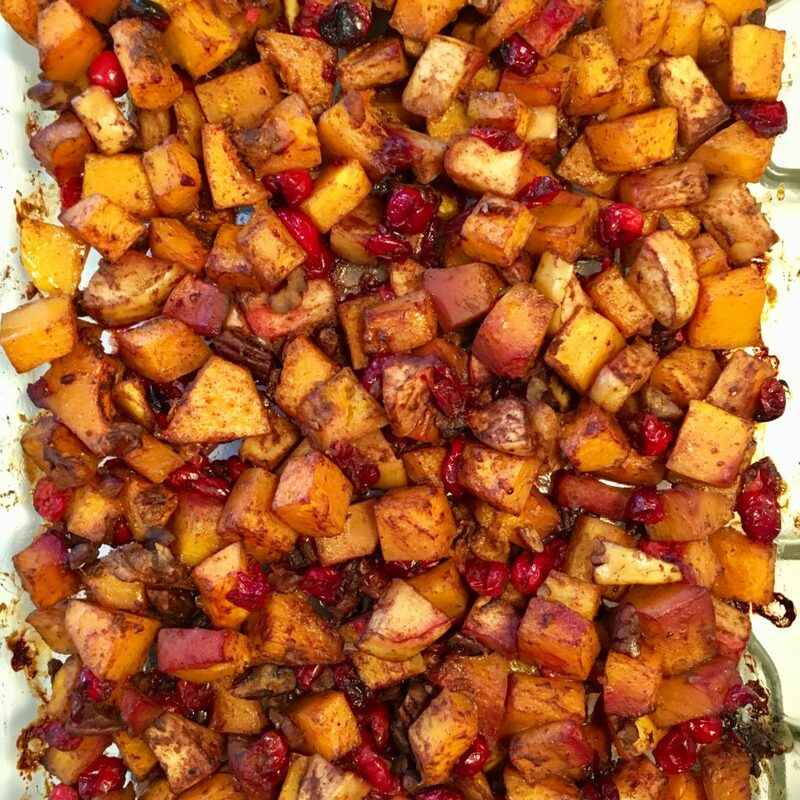 This Holiday Cranberry Butternut Squash recipe contains all of the warming spices and festiveness that we crave this time of year and is so easy to make! It also travels well and makes for a beautiful potluck dish! Did you know that our bodies are continuously undergoing detoxification? The whole idea of “doing a detox or cleanse” is kind of silly from our livers’ perspective. It knows that detoxification is an ongoing process. In order for this process to work efficiently, our body requires plenty of quality rest, quality nutrients, quality hydration, and quality movement. Notice the emphasis on quality? 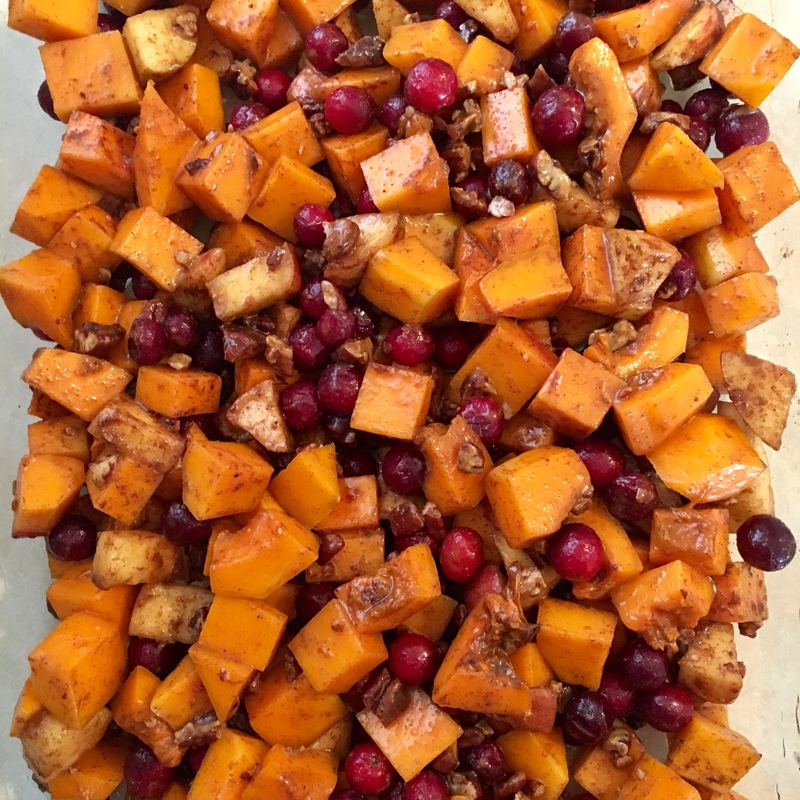 Incorporating quality food choices, like this Holiday Cranberry Butternut Squash, will help to offset the toxic burden on your internal organs. If we support the body all winter long, there is no need to do an extreme cleanse or detox after the holidays have come and gone! 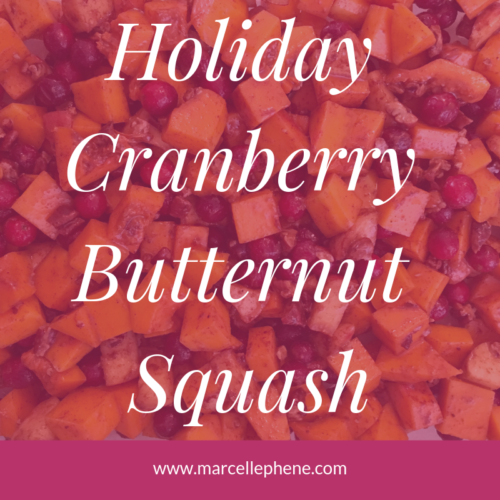 If you are looking for other festive real food recipes, check out my post on 5 Recipes to Celebrate Healthier Holidays! I prefer to “marinate” all of the ingredients in a 1 gallon ziploc bag or large container with a lid. I like to do this overnight if possible, but it’s ok if you don’t have time. This method also allows the dish to travel well; prep at home, bake when you get there! Add the cranberries and the roughly chopped pecans to the mix. If you can’t find fresh cranberries, you could substitute about 1/2-3/4 cup of dried cranberries. Give your ziploc bag a shake, toss in the container, or mix well in a bowl. You want to make sure everything is evenly coated with the oil, syrup and spices. Bake for about 1 hour and 20 minutes. I check on it after an hour and sometimes give it a good stir. It is done when the butternut squash cubes can easily be pierced with a fork.